When I woke up I didn’t have any plans for us for the day but since Emily had Friday off she had done some thinking and suggested we go check out a clam chowder competition. This pleased me in two ways - 1. Emily never really puts any effort into suggesting weekend activities for us although I often suggest she think about it, and 2. I love clam chowder! So, we headed down to the Lompoc Brewery and got in line at about 1pm. 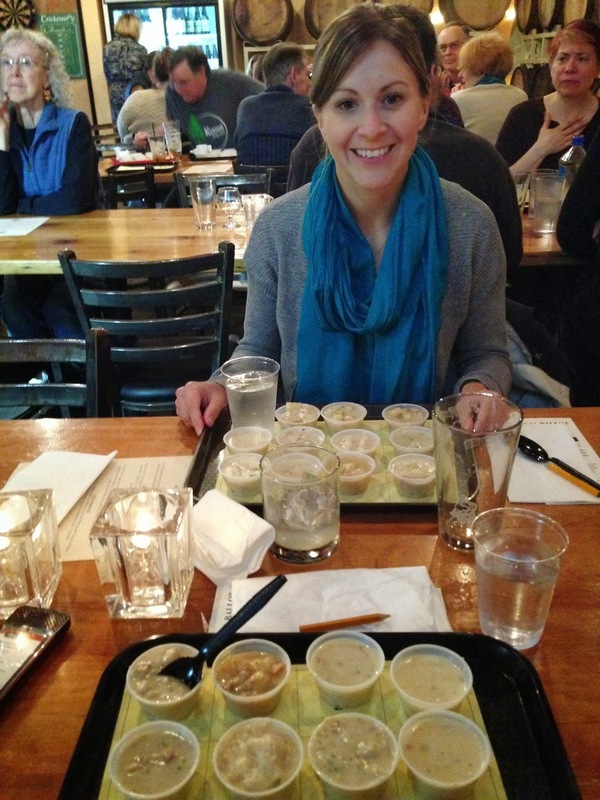 The event was supposed to last until 4pm but when we arrived they had already run out of one of the 12 chowders there. By the time we were done enjoying and rating our 11 small cups of chowder the even was closed because they had run out! We were happy to have arrived when we did. 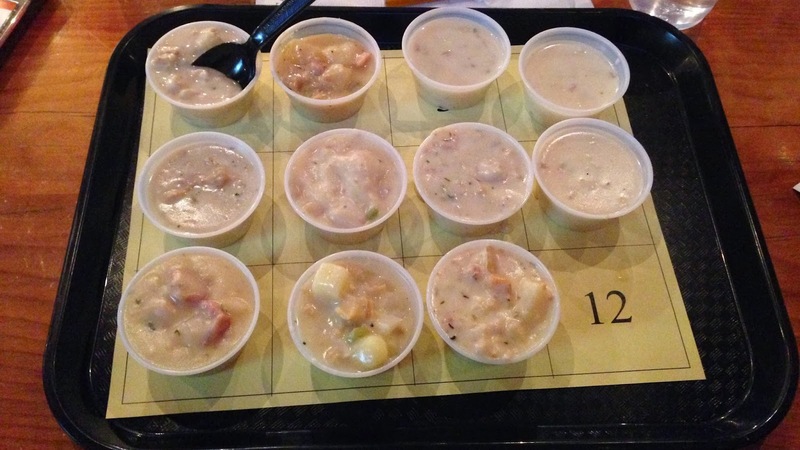 We each voted for our favorite chowder and handed in our ballots before leaving happy with full stomachs.